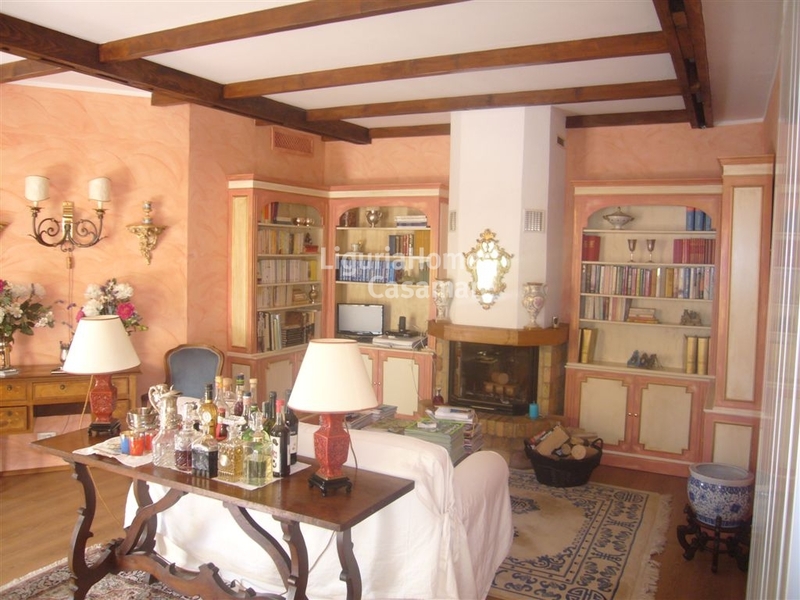 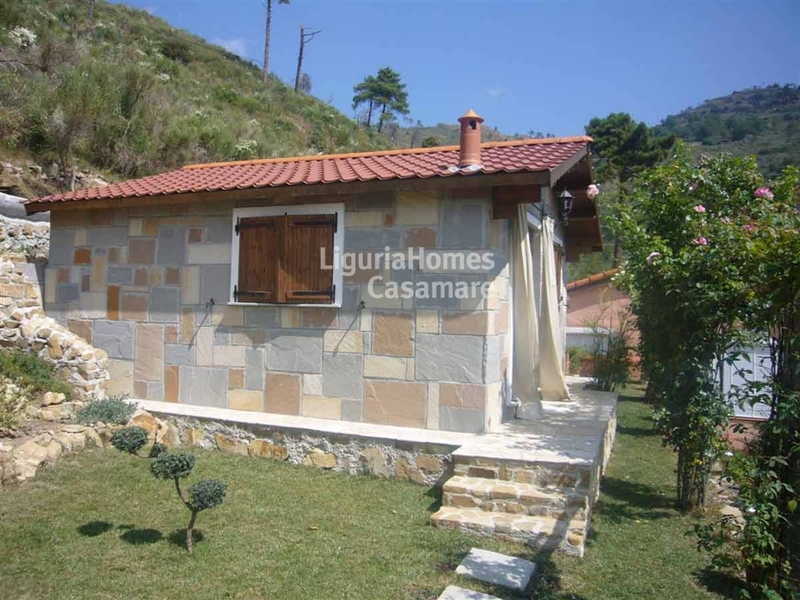 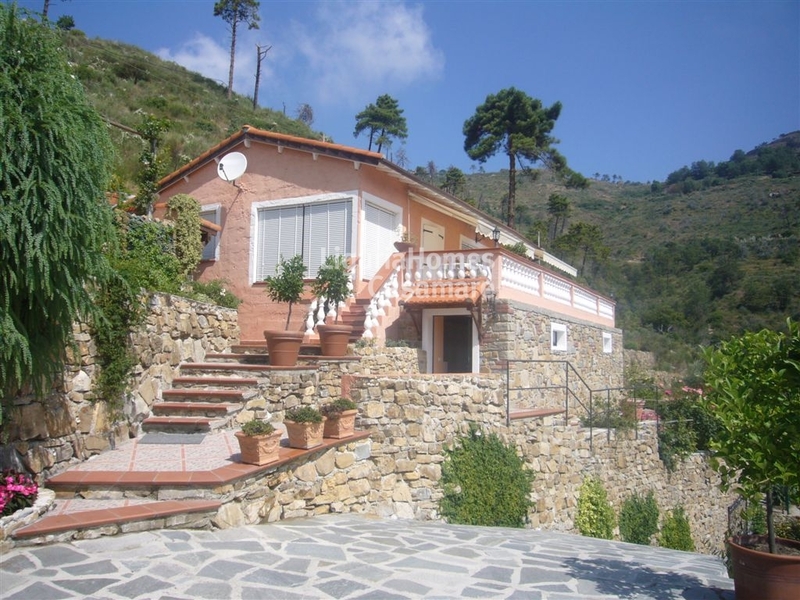 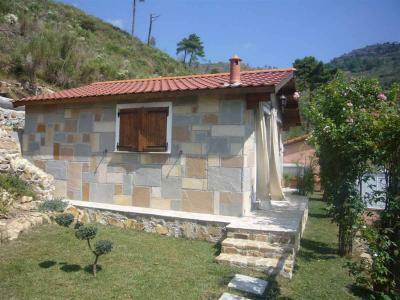 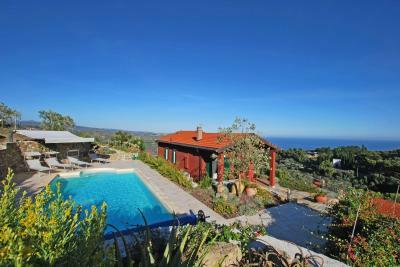 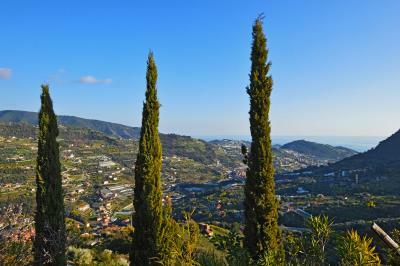 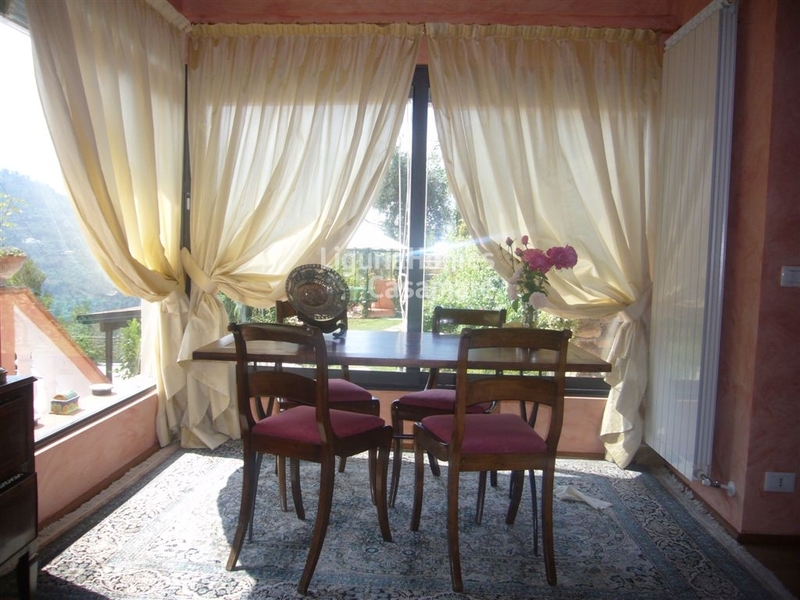 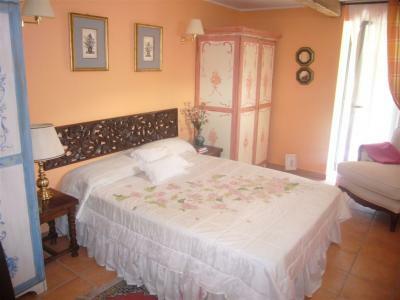 Villa for Sale in Seborga with annex and beautiful view. 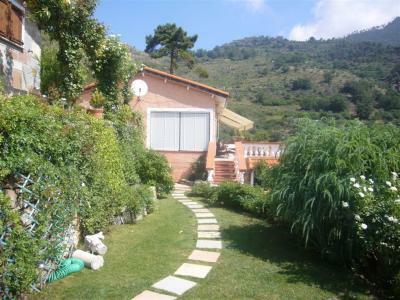 Behing the famous historical center of Seborga, Villa for Sale with garden and annex, surrounded by a wonderful land of 2,300 sq.m. 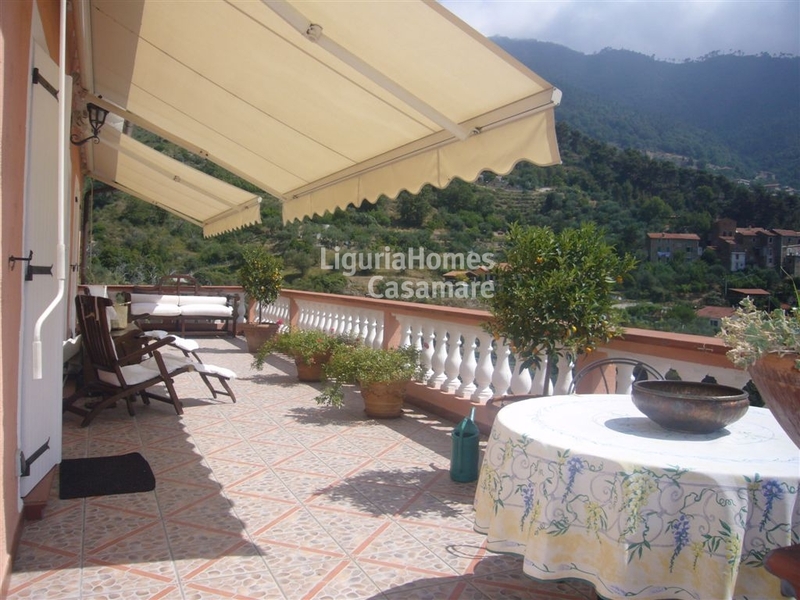 This Villa for Sale in Seborga is completely renovated and furnished, set over 2 floors consists of: entrance, spacious living-room, kitchen, 1 bedroom, 2 bathrooms, dressing and panoramic terrace of 36 m2 at the first floor; kitchen, bedroom and bathroom at lower ground floor. 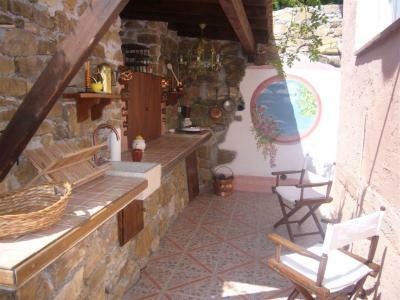 A lovely dependance for guests made in wood and stones of 20 sq. 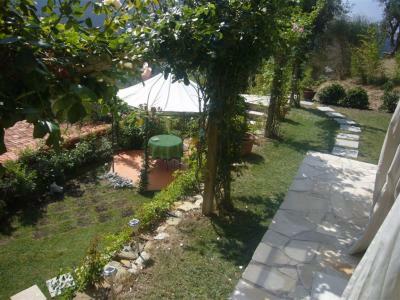 m. is situated in the middle of the beautiful garden where are situated also the parking area for 3-4 cars.